If you think you missed the boat on turnkey real estate investment, think again. As the economy grows, 2019 is the perfect time to look at turnkey real estate investments that provide you with the opportunity to add another revenue source to your asset portfolio. Turnkey investments are a passive form of investing that can be done by anyone at any time — provided they do their homework and have the right team on their side. Here’s why 2019 is the perfect time to start your turnkey real estate investment portfolio — or expand it. Turnkey real estate investment is a well-planned investment strategy where an investor buys a ready to move in property or upgrades a property after purchasing it and immediately rents it out. It is as simple as turning the key and opening the door to a new revenue stream. Turnkey accommodations can be residential or commercial. 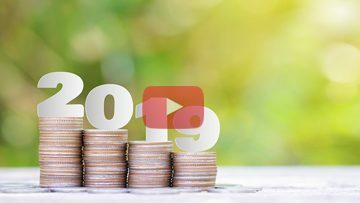 Why Invest in Turnkey Real Estate in 2019? Quick Cash Flow — Turnkey real estate investment is a great way to get immediate cash flow. With turnkey properties, when you buy a property, you begin to receive income once you have tenants and they start paying rent. Great Returns — Turnkey real estate investments always provide you with excellent returns for the investors. The ROI associated with most of the turnkey properties is 10-15%. You can typically expect above-average returns by investing in turnkey real estate. No Rehab Required — This type of investment is called “turnkey” for a reason. It’s ready to go. Most of the rehab work has already been completed, and you don’t have to deal with builders, contractors, or plumbers. No repair work, no construction — everything’s good to go. Good Tax Benefits — Buying a rental property paves the way for a lot of tax benefits. In simpler words, your taxable income goes down even though your revenue is growing with the profits you’re making on the new property. The result? Massive tax savings! Asset Diversification — Turnkey helps you diversify your assets. Even if you already own real estate, a turnkey property is an additional jewel in your crown. It is another asset with great profits. Utilize Your Retirement Funds — Did you know that you can utilize your retirement funds to invest in turnkey real estate? Yes, that’s true. Using your IRA or 401k, you can buy a turnkey property and create an income generating source post-retirement. Smart investors are not going after turnkey real estate just because it’s trending in 2019. They can identify the great potential they see in turnkey real estate investment. Excellent returns, the unending scope for growth and profits, immediate cash flow, security after retirement — these are a few reasons why you should invest in turnkey real estate in 2019. It is indeed a unique market for investment and the cleverest choice you can make in the new year.